I simply can't get enough of the warm weather...FINALLY, right? 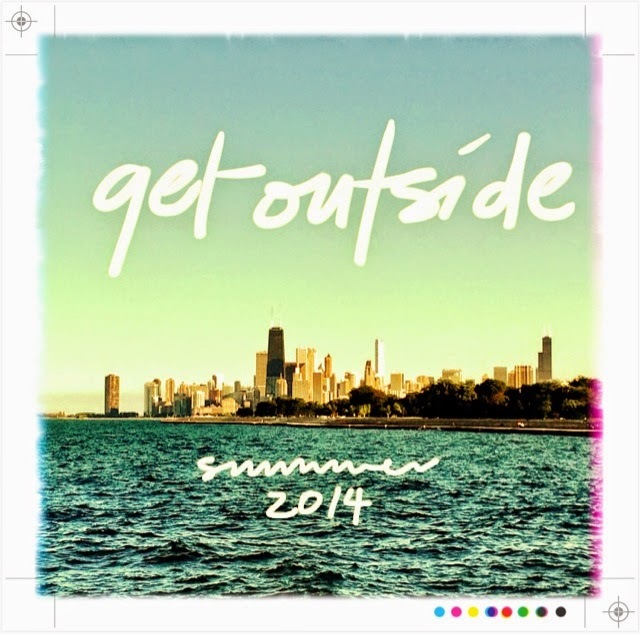 I love it all: being outdoors, sitting on the deck, heading to the farmer's market, just being outside! And when it comes to summer produce, well, tomatoes rock my world--sometimes I eat them like an apple, or turn them into my bruschetta 'Summer In Your Mouth', or add cottage cheese for a light snack. And of course, a sandwich or burger has not quite reached its potential if the tomato is missing. 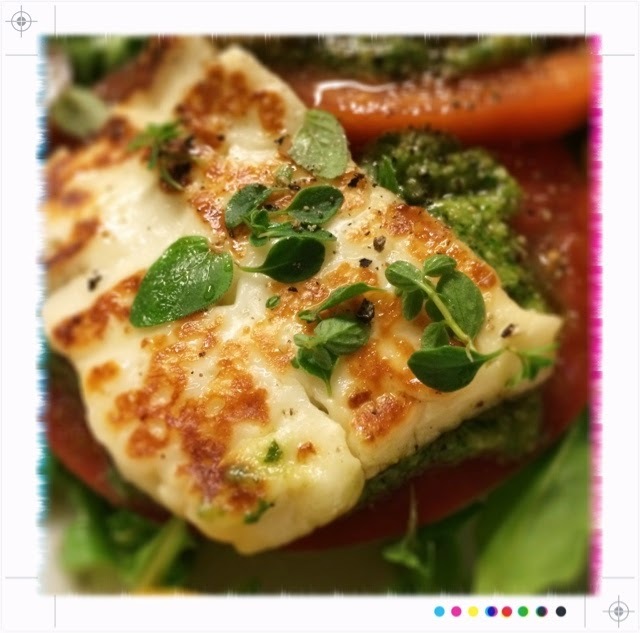 Anyhow, I stumbled upon a new favorite this summer--a simple combination of heirloom, beefsteak, and cherry tomatoes with a hot, seared, and briny Greek cheese called Halloumi--found at Trader Joe's or Whole Foods. 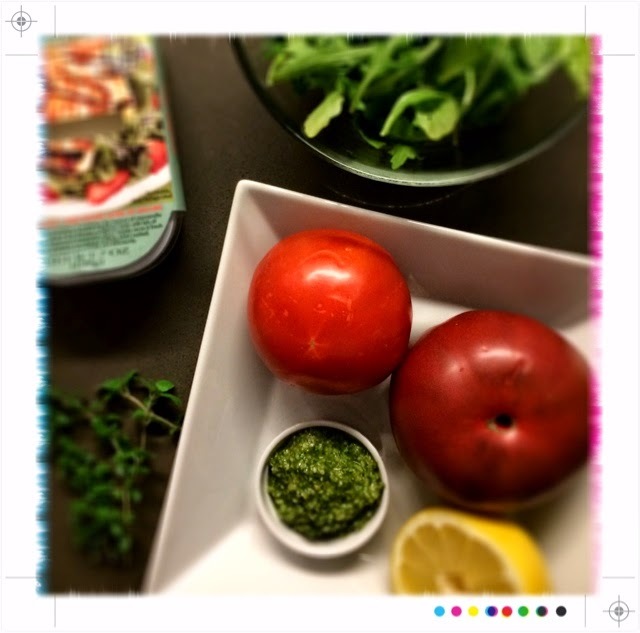 I call it my alternative to the traditional Caprese Salad Jon and I love this time of year. 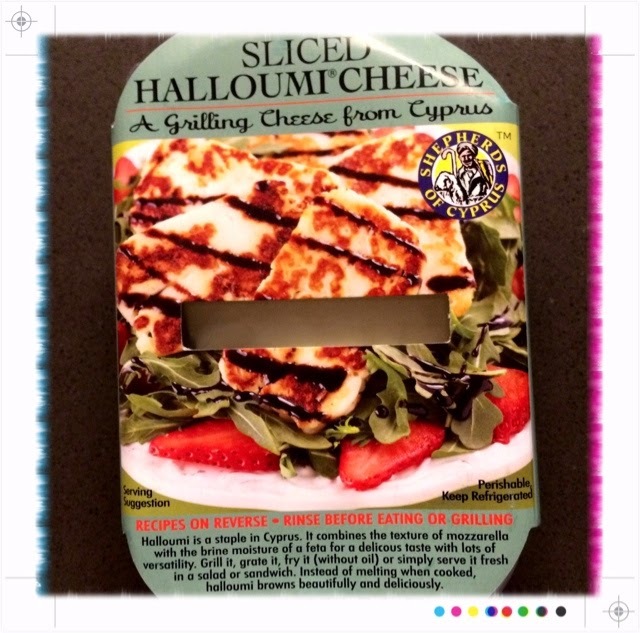 Halloumi comes pre-packaged, oftentimes sliced perfectly for immediate use. 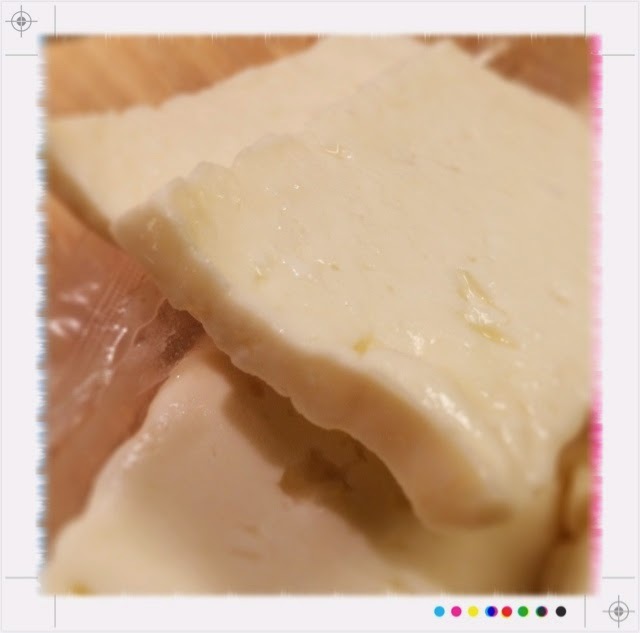 It's delicious all by itself when seared and eaten with fresh bread, too. 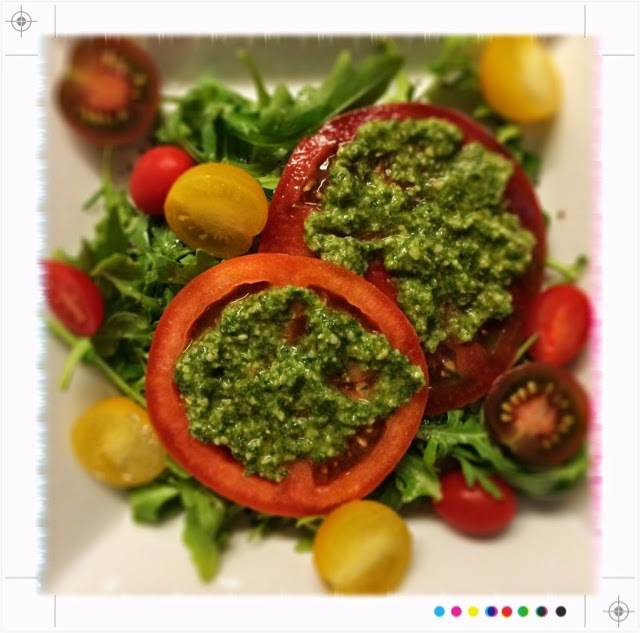 Whatever you do, keep it simple with just a drizzle of olive oil, lemon juice or add a few teaspoons of my Summer Pesto--AWESOME! A great summer salad or meal for college living. 1. Wash your hands and produce. 2. 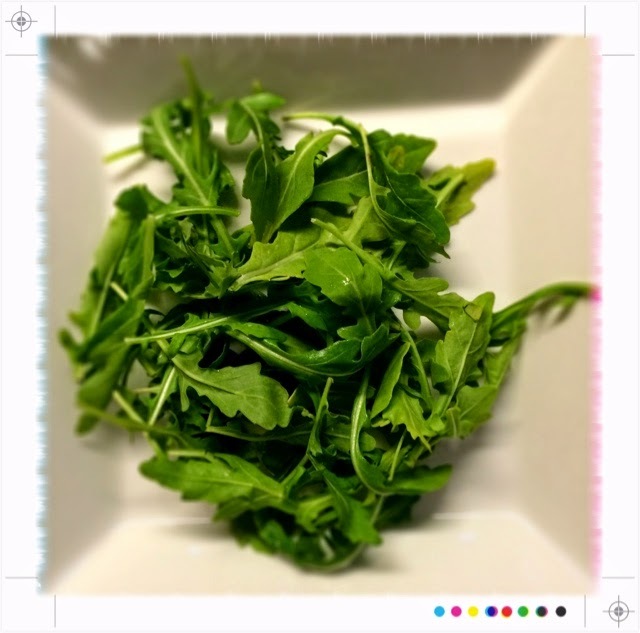 Assemble your plate with arugula and fresh sliced tomatoes. 3. Add a few tablespoons of fresh basil pesto. 4. 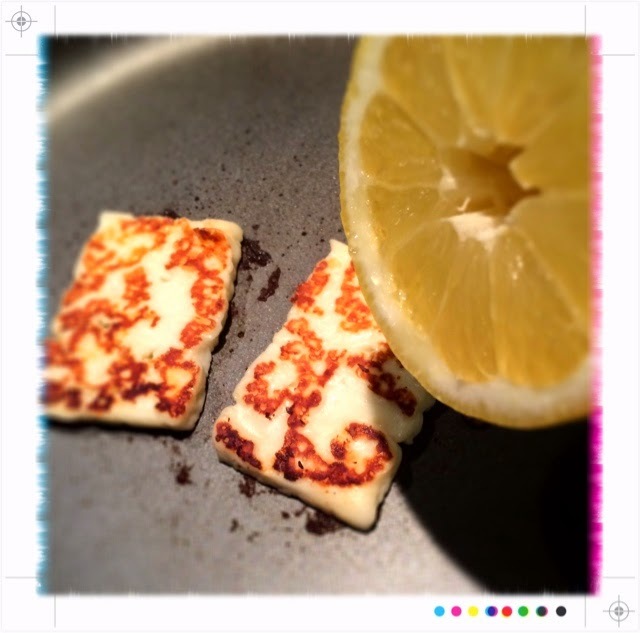 Sear your halloumi slices until golden brown crust appears. 5. Add a spritz of lemon. 6. Add the cheese on top of your tomatoes. 7. 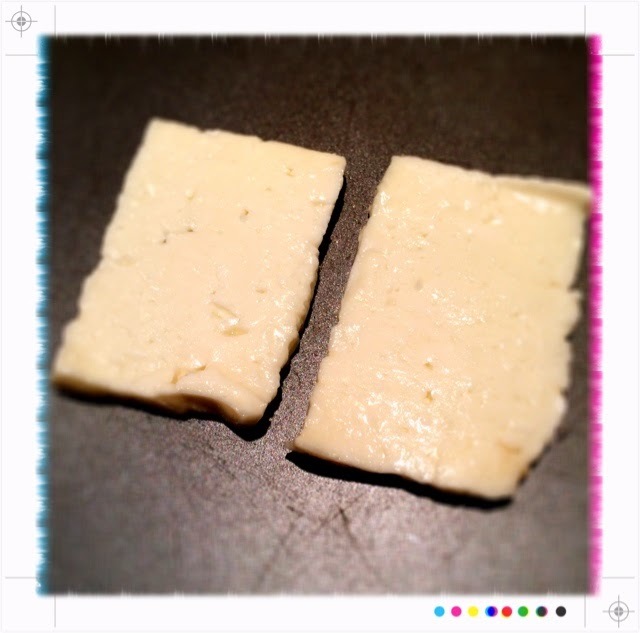 Drizzle with olive oil, lemon, salt & pepper to taste.